Minions, as the name suggests, tells the story of the Minions that we’ve come to know from the Despicable Me series. This is actually a prequel to the first two Despicable Me films, and shows that the Minions have been around since the days of the dinosaurs. The film explains that their main mission in life is to appease the worst leader that they can find. The more despicable, the better. Unfortunately for them, all their leaders keep dying on them. Eventually, the Minions all go into a depression, and Kevin, Stuart, and Bob have to set out to find the world’s worst super-villain. The plot points are pretty obvious, but the script managed to make me laugh throughout. I was most interested to see how they would tie the story up to meeting Gru, and though there is only a couple seconds of interaction, it’s still fun to see where these guys come from. Essentially, if you enjoy the Minions themselves, and their language – which I realize now mixes in English with gibberish and Spanish, amongst other languages – you’ll likely find this film funny. It’s not deep, but it’s the Minions, so I expected dumb fun. The vast majority of the voice acting is done by the Minions and their non-language language. What’s most amazing is when they actually use English, it’s always for a funny or touching moment, and I love that about them. Sandra Bullock plays the main evil character in the film, and she does a surprisingly good job. I forgot it was Bullock for most of the movie, which is a compliment. Her husband, voiced by Jon Hamm, is a lot of fun as well. The art direction looks really great, and it’s exactly what you’d come to expect from a Despicable Me prequel. The way the entire plot comes together works well. I did find it odd that this children’s film had a full-fledged bank robbery in it, complete with guns, eluding police officers, and eventually rocket launchers. Seems a bit much for a kid, to be honest, but that’s probably just the “liberal hippie-dippie” in me coming out. 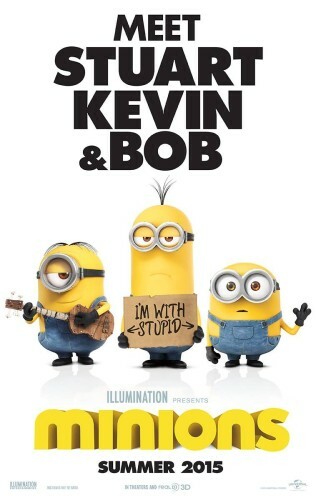 The best part of this film has to be the humanizing of the three main Minions, Kevin, Stuart, and Bob. Each has their own unique personality. Kevin is the fearless leader, Stuart is the musical relief, and Bob is the bumbling clown that wants nothing more than to be the hero. Bob is the cutest in the group, but all three have their charms that I absolutely love. All three are just genuinely likable, and that’s what makes Minions work. I could definitely watch this film again. It isn’t as strong as Despicable Me, but I may like it better than Despicable Me 2, which was almost immediately forgettable. Minions is a simple film that shows us how the titular characters lived before meeting Gru. 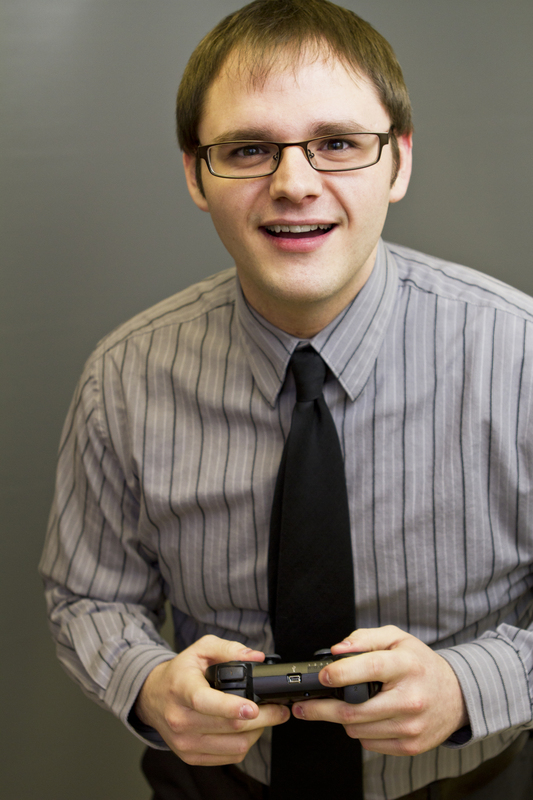 It’s easy, silly, and dopey entertainment, which may not be enough for some parents looking for more than just laughs. As a grown adult with no kids, though, I had no problems with the movie. It is worth watching for a few laughs if you enjoy the Minion characters. On the other hand, if you find the Minions annoying, you’ll want to avoid this movie, as I’m sure you already are.